News and commentary about the reigning royal houses of the United Kingdom, Sweden, Denmark, Norway, Belgium, Luxembourg, Liechtenstein, the Netherlands, Spain, Monaco -- and the former European monarchies as well. Thank you to one of my followers, Laurie Doyle, for allowing me to post this tweet. It is a view that many of us share. "On International Women’s Day, we need to have a conversation about Meghan Markle. As a mother of a teenage daughter, I’m thrilled to bits about this wonderful American, soon to be Brit, having the limelight in a world of trashy Kardashians. It’s such a breath of fresh air to have a poised and articulate lady, be a proper role model for my daughter, and other young women and girls today. She dresses appropriately, she speaks with confidence and has a genuine enthusiasm to meet people and do good work for charity. I cannot wait for her to be an official member of the Royal Family. The world needs more Meghan Markles. I had to take a break from Twitter this morning. It was so disheartening to read things about Meghan not being ready or not having confidence. Really? How about on international woman’s day, we as women, consider lifting each other up instead of tearing each other down? She’s a person who has been thrust out there and is doing a remarkable job at making it look easy! With racial slurs and demeaning criticisms about everything from her hair to her posture...it’s not nice and it’s not helpful, and it needs to stop." We will see in due course a women who will be a great asset to the Royal Family and I hope the Duchess of Cambridge and the future Princess Harry will get on like a house of fire for the sake of the future of the Royal family and for the sake of prosperity for all who adore British history in the making. I don't get all the negative comments about Meghan on sites like the Daily Mail. I don't know if it's jealousy, because she's American or what. She is well-educated, pretty, successful in her career and a humanitarian (long before she met Harry.) I think she will be a great asset to the royal family, and can't wait to watch the wedding!! 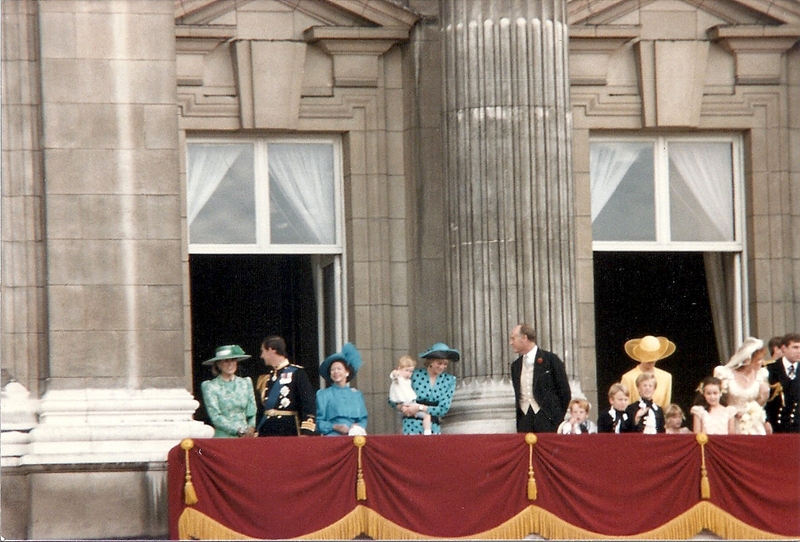 I have been doing the Royal Musings and Royal Book News blogs for more than ten years now. I do not have a paywall or charge for reading articles. I enjoy writing and researching and reading. I devote a fair amount of time to the blogs. No expectations or obligations when reading Royal Musings or Royal Book News - but if you enjoy either or both blogs, feel free to make a donation. Or not, course. Thank you very much. The marriage of Princess Viktoria Luise of Prussia and Prince Ernst August of Hanover. Now available for purchase: a well-researched, footnoted article on the life of Grand Duke Michael Mikahilovich of Russia, whose marriage to Countess Sophie von Merenberg was unequal, but a love match. I wrote this piece some years ago for Royalty Digest, and now again available. The price is $5.00 (and will be sent to you as a PDF). Just click on the Buy Now link for purchase. Thanks. My article, The Gleichens: the Unknown Royal Cousins, is now available through Kindle on Amazon, in all the Amazons' Kindle stores. This link is for US Amazon. The price is $9.99. Just visit your Amazon and go to the Kindle store, search for my article. The article runs more than 50 pages! And who were the Gleichens: Prince Victor of Hohenlohe-Langenburg (nephew of Queen Victoria) and his family. His marriage to Lady Laura Seymour was considered unequal, and his wife and children were created Countesses and Count Gleichen. A German title but very English people .... Feodora, Edward, Valda and Helena .. all talented and interesting people. True junior royals. If you do not have Kindle, you can purchase the article from me via Paypal ($10.00) and it will be sent as a PDF. Readers can shop for books and other items through Amazon by using my portal. I earn a few pennies for every item that is purchased here. You can access Amazon through the book links, my store or the Amazon search boxes. You will be amazed by what you can order through Amazon. You can use the Amazon search box, the stores or the links to purchase items - and every purchase counts! This includes third party items such as book dealers who sell on Amazon. Thank you and Happy Shopping! Amazon - and not just books! You can contact me at royalmusings at cox dot net. If you have ideas for little articles, let me know ... I just might do an entry! Or just drop me a note to let me know what you think of this blog. Thanks for reading -- and enjoy Royal Musings! One of the most beautiful places in the World! Manoel to marry Viktoria Luise? The sources consulted for this blog include the New York Times, the Chicago Daily Tribune, the Los Angeles Times, the Associated Press, the Washington Post, and The Times. I also consult books and other materials in my personal library. All the photos come from my personal collection, unless other noted.